The future is not looking great for the funding of UK science. Recent comments by Vince Cable (Business Secretary) imply that cuts might be hard and based on a poor interpretation of the state of UK research, which is actually in pretty good health and very competitive. Ben Goldacre nicely sums up some of the potential impacts. The best option is probably to let our politicians know the potential implications of their decisions and how passionate we are about science by signing the petition started by Science is Vital. They also suggest writing to your local MP (the provide information on how best to do it) and they have organised a rally in London for the 9th October. The point I really wanted to make, though, was about the word impact. We all seem pretty confident about the impact of funding cuts – the brain drain, long-term impact on the economy, science based industries abandoning the UK etc. But a few months ago, a lot of the vocal UK science community was expressing concern at having to plan and subsequently demonstrate the impact that our research has. “This can’t be done” was something I heard quite a lot. I hope we didn’t make a rod for our own back. Can our worrying predictions now be taken seriously given that we previously expressed little hope of predicting our impact? Don’t get me wrong, I’m behind the Science is Vital campaign and understand the importance of science to the country as a whole. I also realise I’m mixing up the outcomes of specific research projects with “science” as a whole. I just thought it would be nice for people to tell me why I’m wrong! The BBC seem to have something coming up on Wild Weather. I think its next week but the website isn’t too clear on what’s going on! I’ve been involved a little bit: I’ve written a little bit about the Birmingham tornado of 2005; another short piece about the 1987 Kent “hurricane” and; I’ll be on BBC Inside Out in the north-west talking about hail and flooding – no idea when that’s going out though. So the bit I thought I did for Inside Out actually went out as a programme called Wild Weather. This link takes you to a page where you can view all the regional Wild Weather shows. 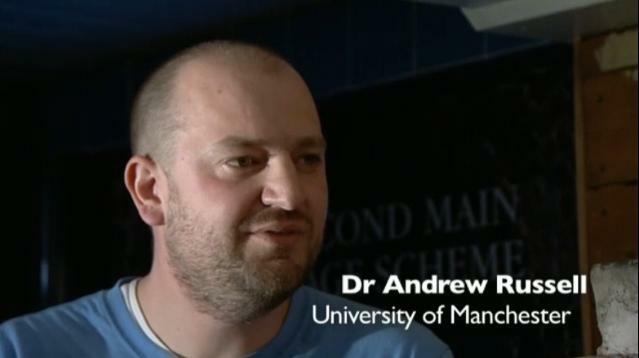 I’m in the North-West one for about 20 seconds taking about rainfall patterns in Manchester. We also filmed a bit on hail but that doesn’t seem to have made it into the programme! Oh well. I also found another page on the BBC website with input from me – it’s about the Manchester rainfall changes again. Here it is. Episode 3 of The Barometer is now out! We’re investigating the poles this month. There’s an interview with a couple of guys from the Centre for Atmospheric Science who’ve worked in the Arctic and an interview with the organiser of Polar Live with a couple of clips of music that’ll be played at that concert.